Today I attended a public education initiative sponsored by the Indian Residential School Survivors Society. It was held on the Coast Salish territory of the Squamish Nation in North Vancouver. Along with a couple of hundred other guests, I heard from national and provincial First Nations leaders, the residential schools Truth and Reconciliation Commission, several First Nations Elders, survivors of the residential schools, representatives of the four implicated churches (United, Presbyterian, Catholic and Anglican), and a functionary dispatched by the provincial government, the newly-shuffled minister apparently having higher priorities today. Nobody attended on behalf of the federal government. What we heard was a day of heartbreaking testimony about the ongoing toxic legacy of Canadian policy toward First Nations – policy which persisted until less than three decades ago – which official documents characterized as “killing the Indian in the child.” We also heard about the strength of survivors of all this horror, who have struggled ever since to come to terms with the gaping voids in their childhoods and to rediscover their communities and identities. Perhaps most moving of all was the presentation of a healing ceremony by an Elder from Kitimat, herself a survivor of abuse committed many decades ago, in which she unflinchingly named the wounds and abuses suffered by First Nations children, their families and communities, and purged the survivors’ ingrained sense of guilt and inadequacy. For almost a century, our federal government teamed up with our churches to forcibly remove small children from their families and communities. They were quartered in barracks far from home, indoctrinated with the state religion of Christianity, subjected to beatings for speaking their own languages, degraded, often raped, and ultimately spat out of the system ostensibly shorn of their aboriginal cultures. 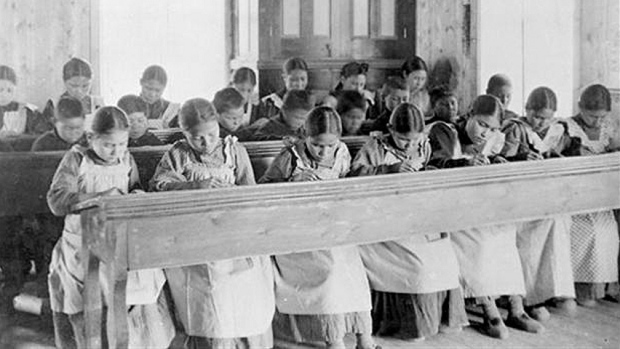 What was really impressive was the failure of all of that systematic abuse and oppression to stifle the voices of survivors – to kill the “Indian” in all of those children – though for all too many it was very successful, a success measured in the enormous suicide rate among aboriginal youth, in drug and alcohol dependency, criminal sentencing and family violence. This is not ancient history. These outrages continued most of the way through the Twentieth Century. This is about my lifetime, not some ancestral misdeed. As I sat in the Chief Joe Mathias Hall and listened to the riveting accounts of the legacy of this deliberate policy of brutalization, I thought of my own sheltered childhood in a White suburb of Toronto, and of the portion of my weekly Sunday School collection donations at Thistletown United Church that helped finance the hideous abuse of other little children and their families. I also reflected on the sharp contrast between the warm and hospitable treatment I received from the organizers of the session, and the rapacity with which my own culture treats Canada’s original inhabitants. It is easy for those of us born to privilege (whatever turbulence life may throw our way) to forget that we have the great good fortune of being dealt a free pass – in the form of a White skin – in life’s great lottery. But we have a lot to learn from people who, in the face of adversity far greater than anything faced by any other people in Canada, despite more than a century of deliberate cultural genocidal policy executed by all levels of government and organized religion, are finding new strength, forging a new generation of articulate and intelligent leaders, and maintaining a fight that knows it will ultimately triumph no matter what White society can throw at them.